Welcome to our lovely home near the beach. 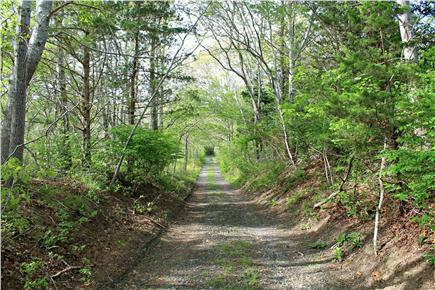 Road to our private association beach. 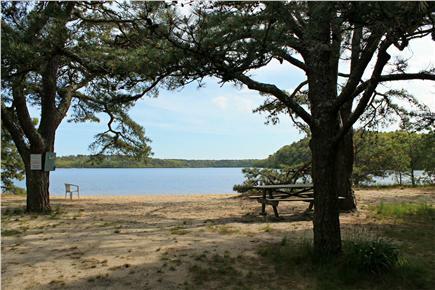 Beach with picnic tables and Coleman canoe. 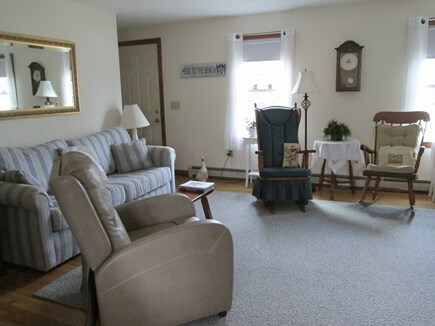 Relax and enjoy our comfortable living room. DVD and Comcast TV available. Also high speed internet. 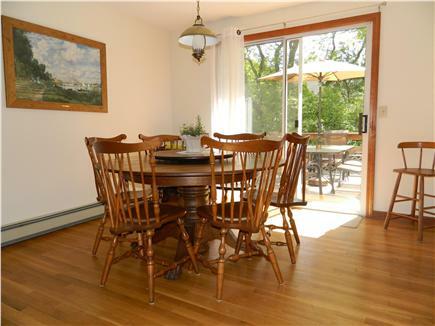 Dine with family overlooking deck and backyard. 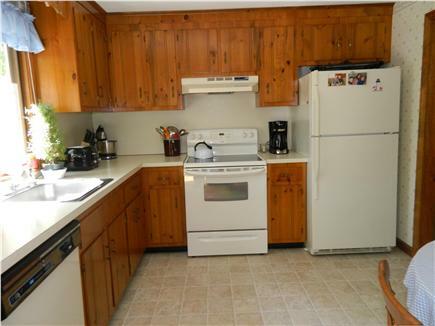 Efficient kitchen with all large and small appliances. 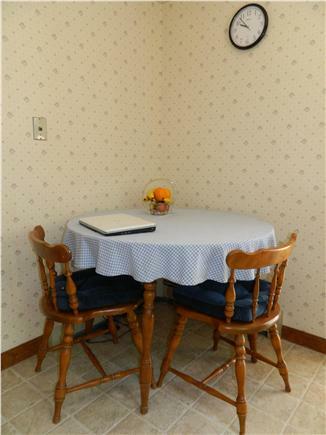 Breakfast nook, wireless internet available. 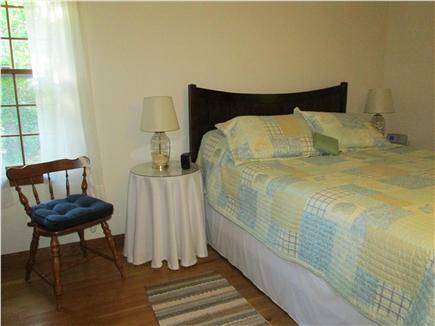 Master bedroom, comfortable new pillow top mattress. 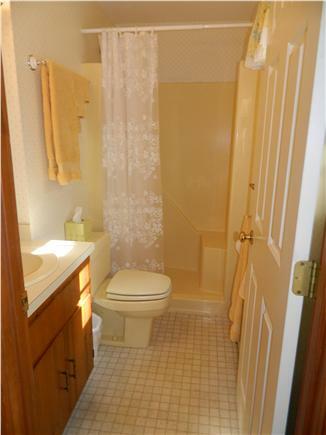 Master bath with seat in shower. 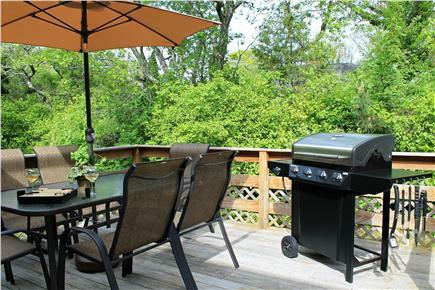 Deck off dining room complete with gas grill. One mile to Cape Cod Bay. 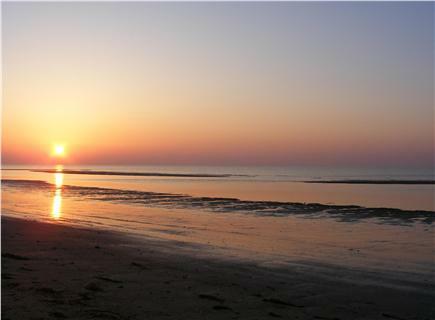 Walk to a private beach on crystal clear Sheep Pond, or load up the car and park at the beach - locked and gated for your peaceful afternoon swim. We provide canoe, row boat, life jackets and beach chairs, which can be used only at your own risk. 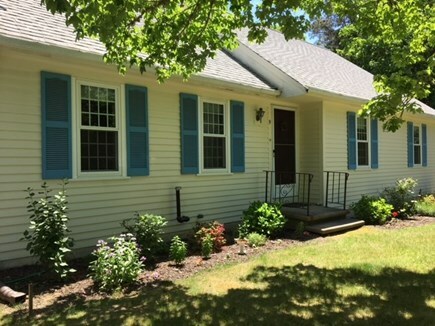 Key Amenities: Private fresh water beach, 1 1/2 miles to Cape Cod Bay, 1/4 mile to Bike Trail, Deck, Outdoor Shower, AC, Washer and Dryer, Dishwasher, Linens included, Cable TV, DVD, Fireplace, Wireless High Speed Internet, 2 Bathrooms. Two steps with railing and grab bar to enter the house. 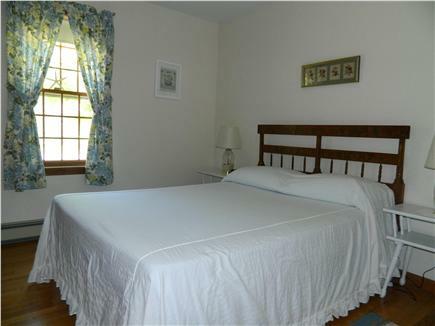 First floor bedrooms and bathrooms,seat in master shower. Only item that needs attention is the garbage. I don't think the tenant prior to us ever brought the can to the end of the driveway. When we got there, the can was overflowing and we had to wait until Tuesday to have it emptied. Make sure tenants know they have to bring the can to the street and not just leave it in the back. Everything else was perfect. We had a wonderful time. Beautiful private beach to relax with family. Great location on the Cape to allow us to visit various places of interest in the Cape. Definitely would like to return. A lovely home with its own private beach. Everything you need in a gourmet kitchen to make a great meal. 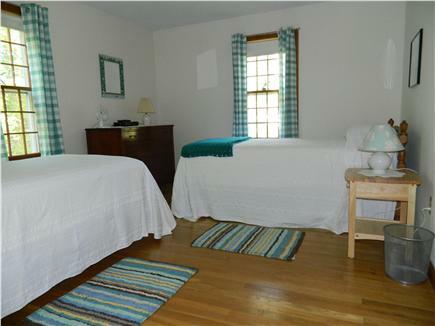 Three bedrooms with room to sleep eight. Two nice size bathrooms. 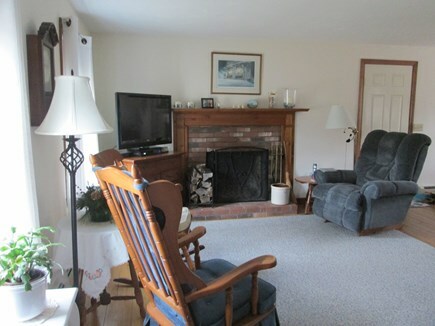 We enjoyed staying at this house with the huge dining room table and a lovely comfortable living room with a great recliner. It was like being in your own home. We will visit again.